Gregory Kimble, has more than nine years’ experience in the fire protection industry. His career began at Martech Fire Solutions, Inc. where he conducted life safety analyses of existing facilities and recommended updates to life safety systems. In 2016, Gregory worked at Western States Fire Protection where he managed all aspects of installation of fire suppression and fire alarm systems for a variety of building and facility types, and project sizes. Mr. Kimble has experience in building and life safety code consulting, design and calculation of fire protection systems (including fire suppression, detection, and alarm systems), surveying facilities for compliance with building and life safety codes, and determining code compliant fire protection approaches for various occupancies. 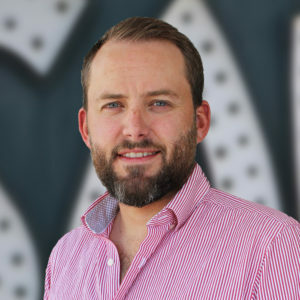 Mr. Kimble joined TERPconsulting in August 2018. To contact Greg, click here.